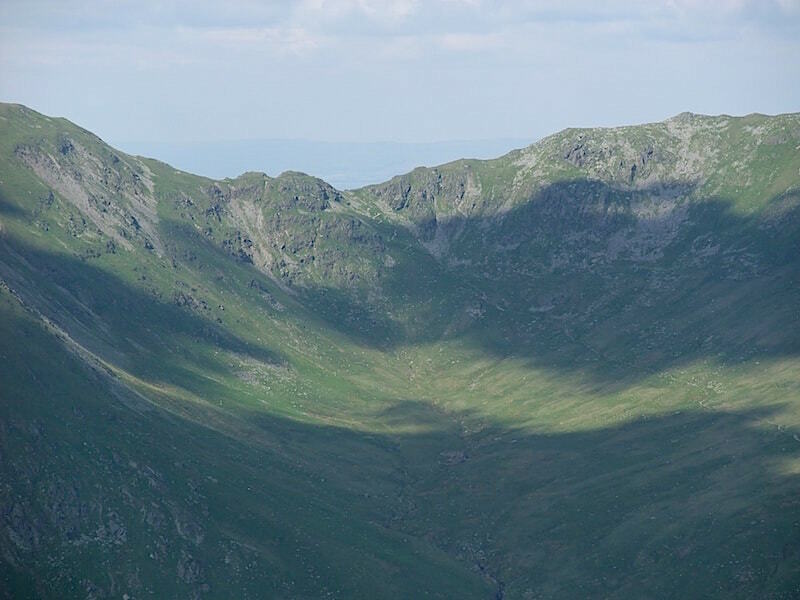 Today we are off to walk the Kentmere horseshoe. Its a long walk and we’ve been waiting for a good summer day in order to make the most of it. 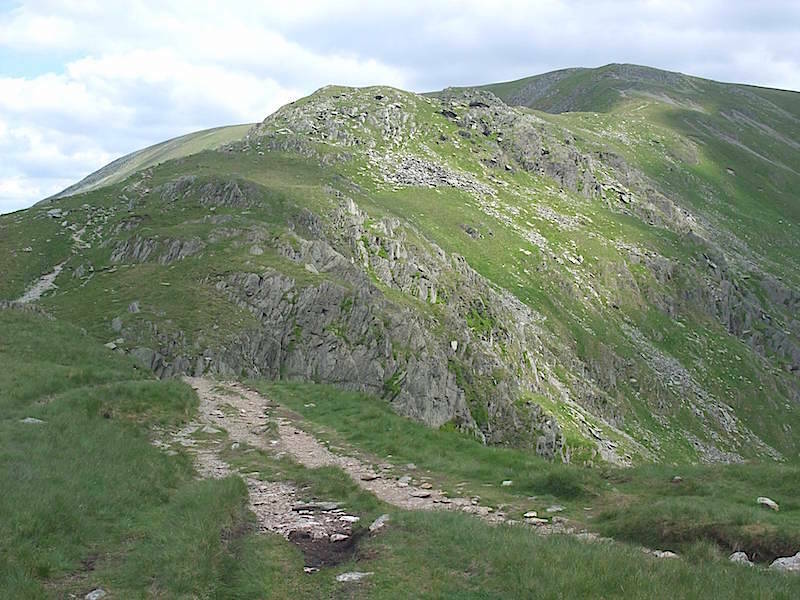 The forecast sounded about right so here we are heading up towards Shipman Knotts from Kentmere village. We’re heading across to take the path which runs by the wall going up the centre of the shot. We were followed up, and then overtaken, by a group of young army recruits and their instructor. They were going at a fairly fast pace and they were all a bit red in the face. We caught up with them when they stopped for a brew, the instructor was asking all sorts of questions about distance and time and heads were down looking at maps and compasses. I was so interested in what they were doing that I forgot to take any photos while we were on the summit. 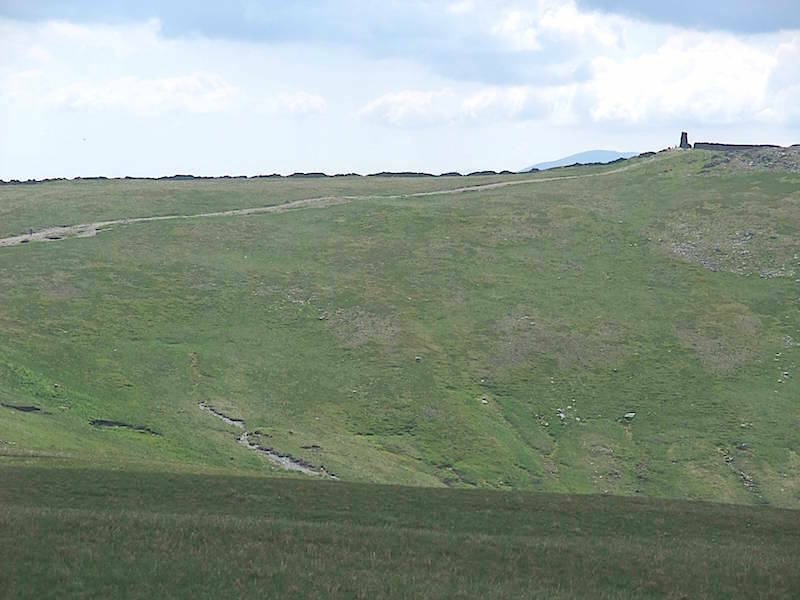 They must have had a long tea break as they didn’t pass us again although we could see them far behind us as we headed up to Kentmere Pike. 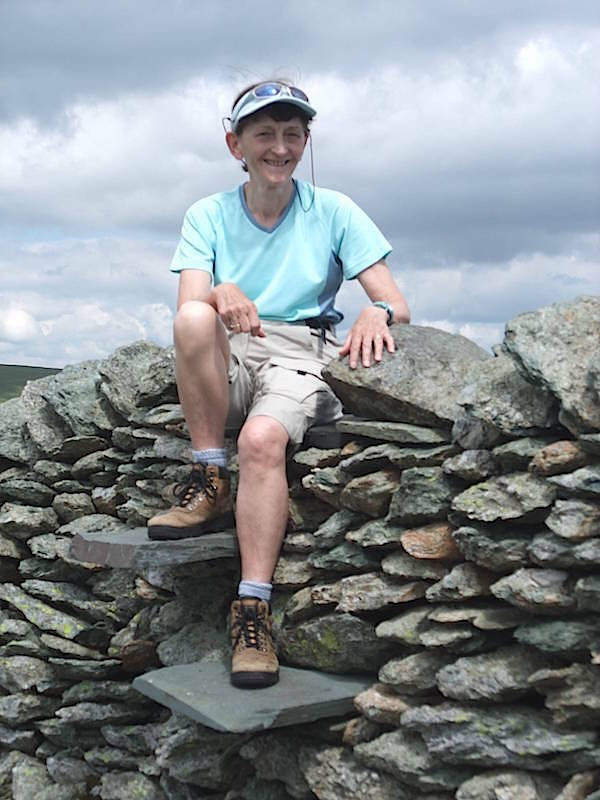 The trig column on Kentmere Pike which is …..
….. just behind the wall I’m sitting on. Handy steps built into the wall so you can cross over without ruining it. Across the valley are two of the fells on the other half of the horseshoe. 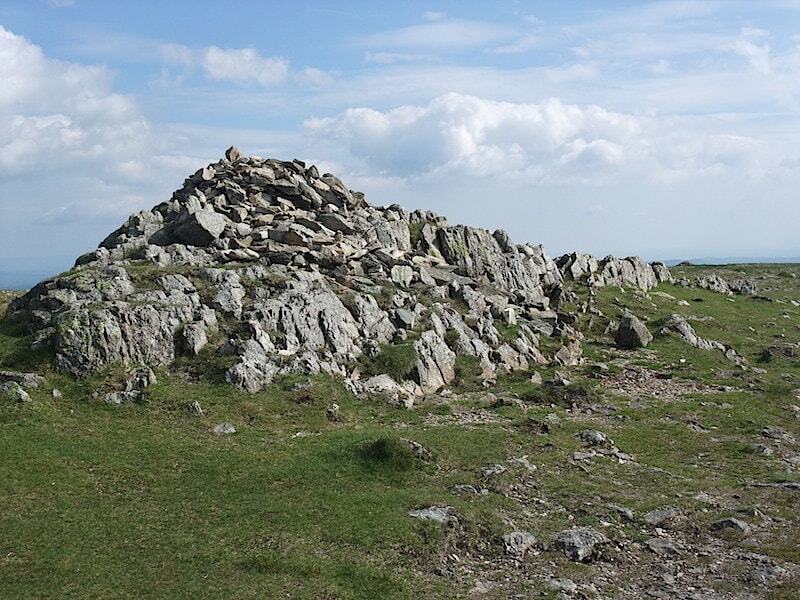 To the left and in shade is Ill Bell, the three small points on the summit are cairns not people. In the sunshine on the right is Froswick. 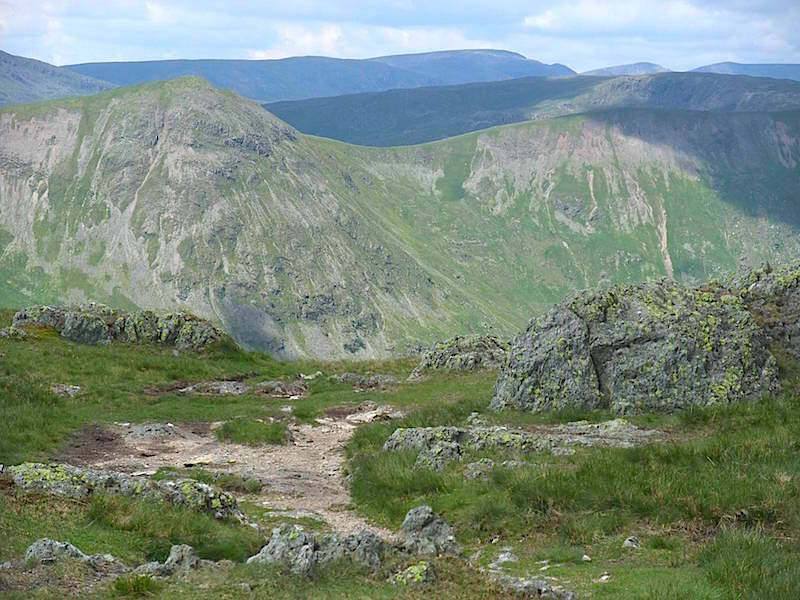 Between the two is Red Screes. 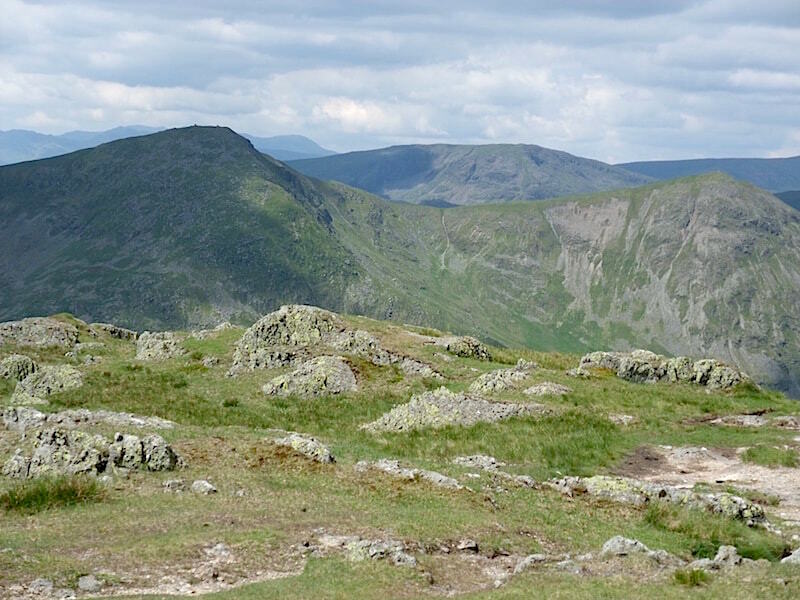 Turning a little to the right for a view of Froswick and the connecting ridge up to Thornthwaite Beacon. 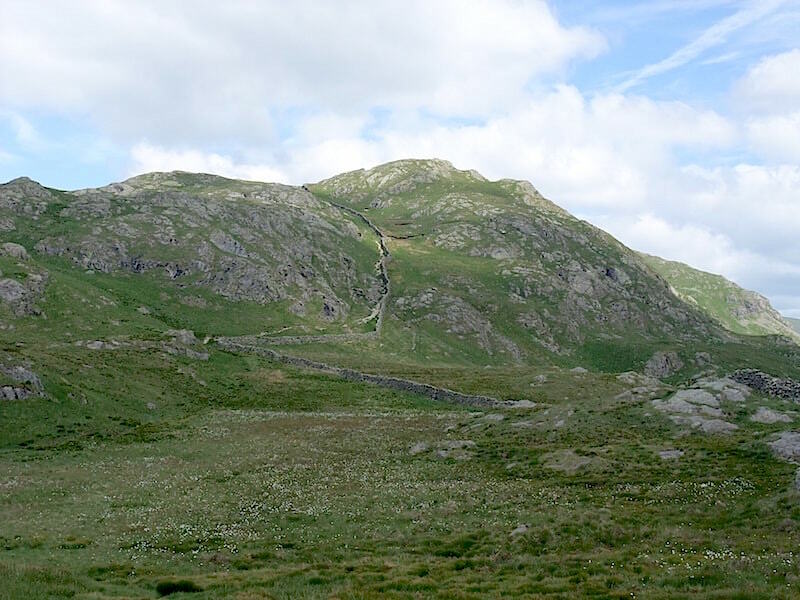 From Kentmere Pike its a long and gently rising walk over grassland up to the summit of Harter Fell. 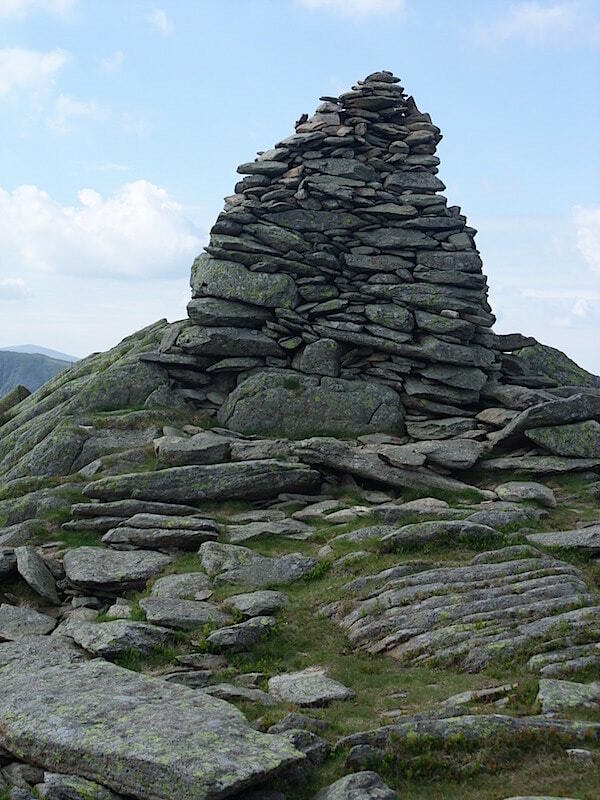 The cairn is an interesting mix of stones and old iron fence posts. From the summit we make our way down the steep path to Nan Bield pass. On the way down there is this view of Small Water over to our right. 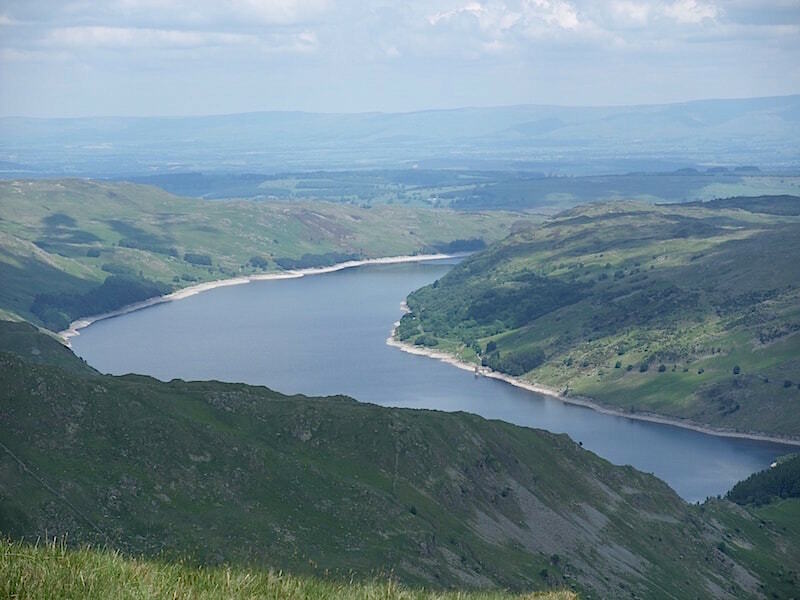 The views of Haweswater are continually changing as we make our way down. 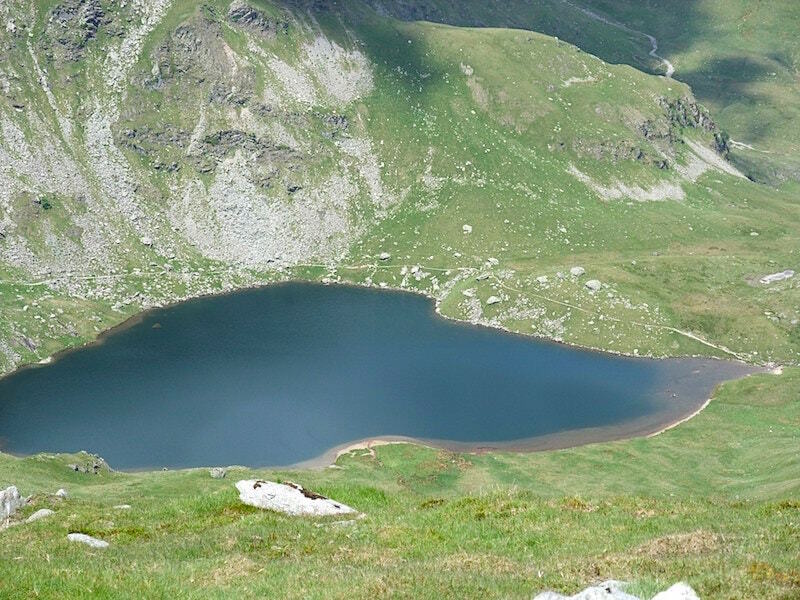 Also from the descent to Nan Bield pass is this view of Kentmere Reservoir on our left. 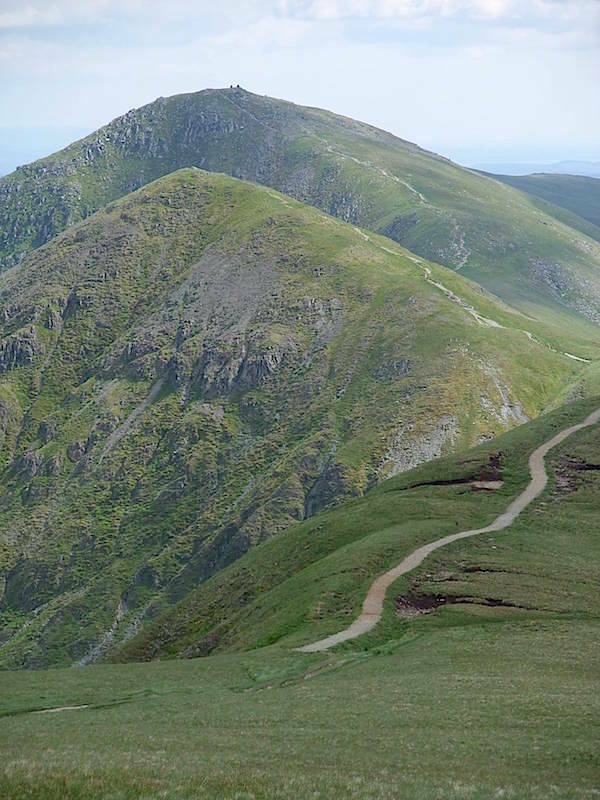 We’re almost down at the pass now and over to the left of the shot is the path we’ll be taking to go up to Mardale Ill Bell which is the high point over on the right skyline. 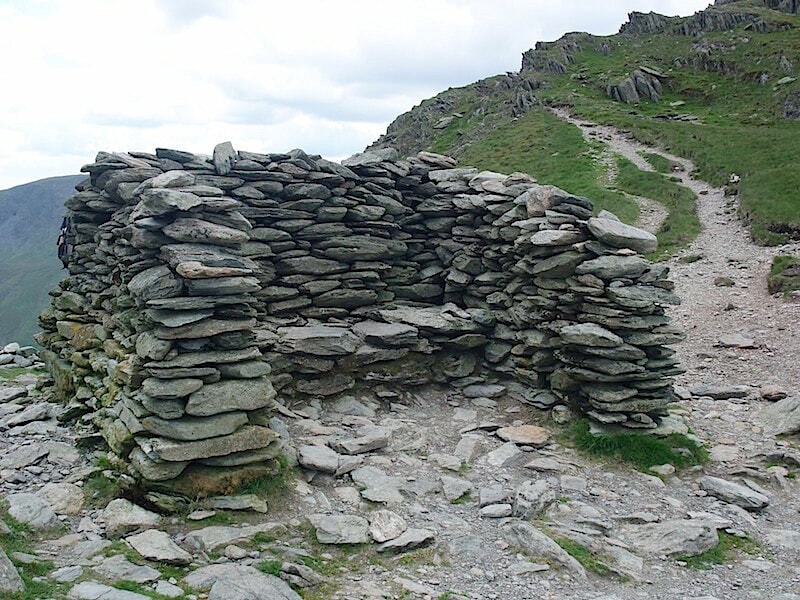 The path we are on drops down to …..
….. the shelter at Nan Bield Pass. 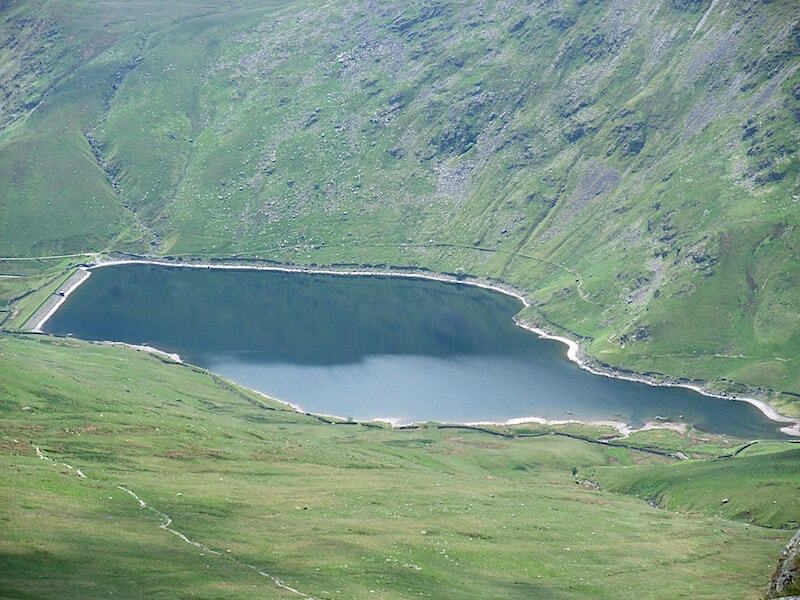 The view from the seating area looks down to Mardale and Haweswater. 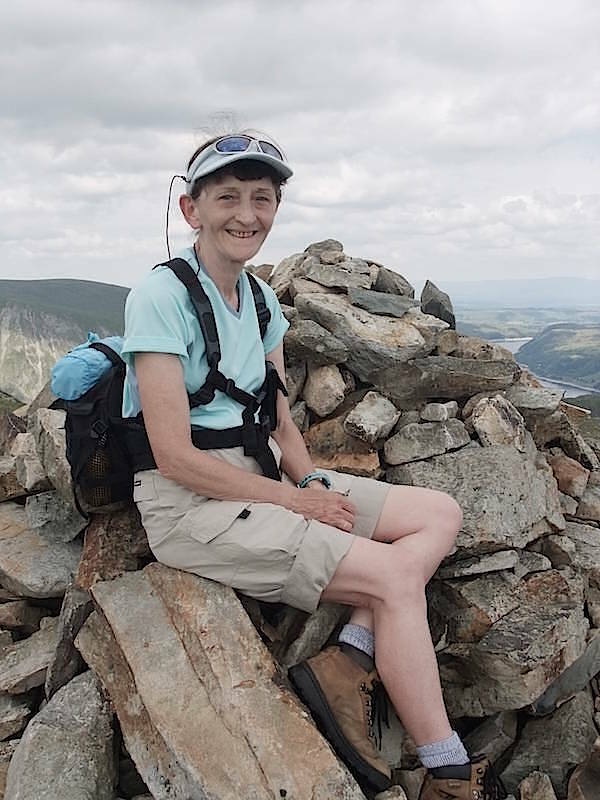 Its not a huge distance from the pass up to Mardale Ill Bell and in what seems like no time at all we are at the summit. 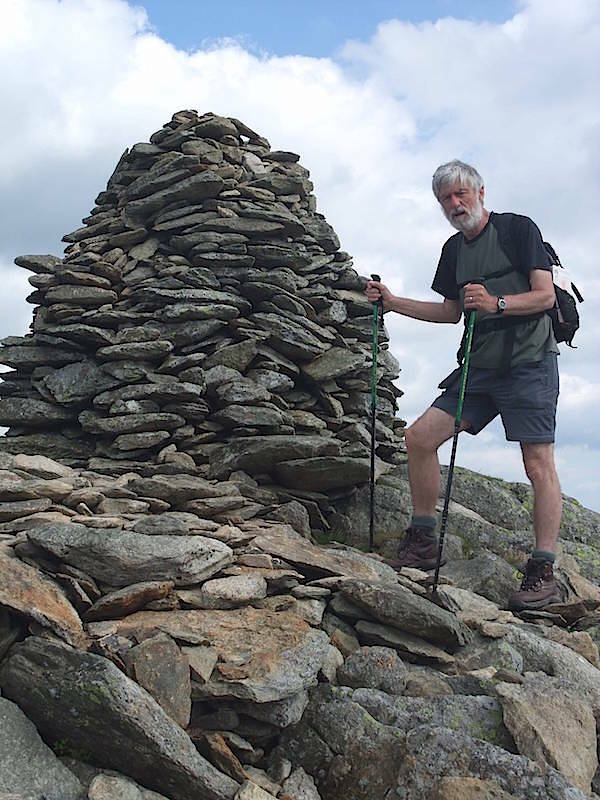 Just behind the cairn are glimpses of Haweswater. A view over to Thornthwaite Beacon as we cross over the head of the valley. 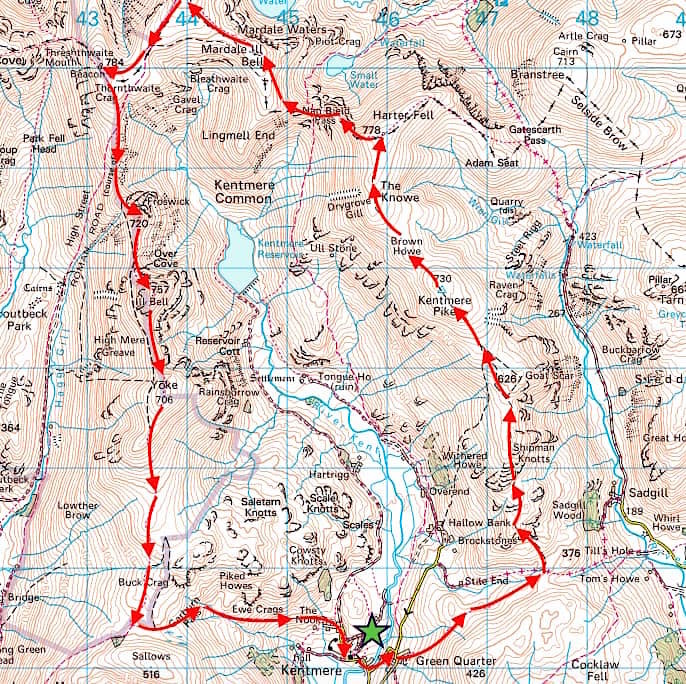 Its always a popular spot for people to stop for a while as its more or less the halfway point around the horseshoe. 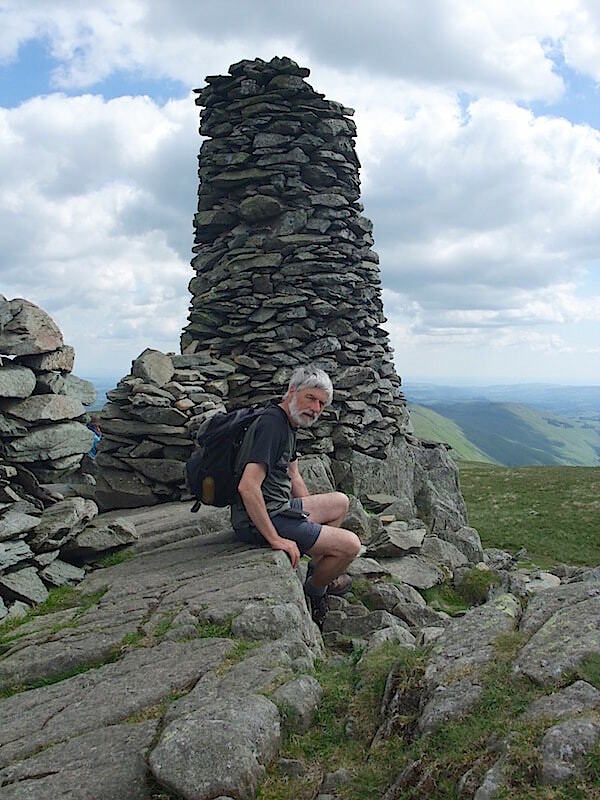 A good place to sit down, get the sandwiches out, and admire the extensive views all around …..
One of the views you get from around the beacon is this one of Froswick with Ill Bell behind it. Good paths, nothing scary, just a lot of ups and downs for a while. 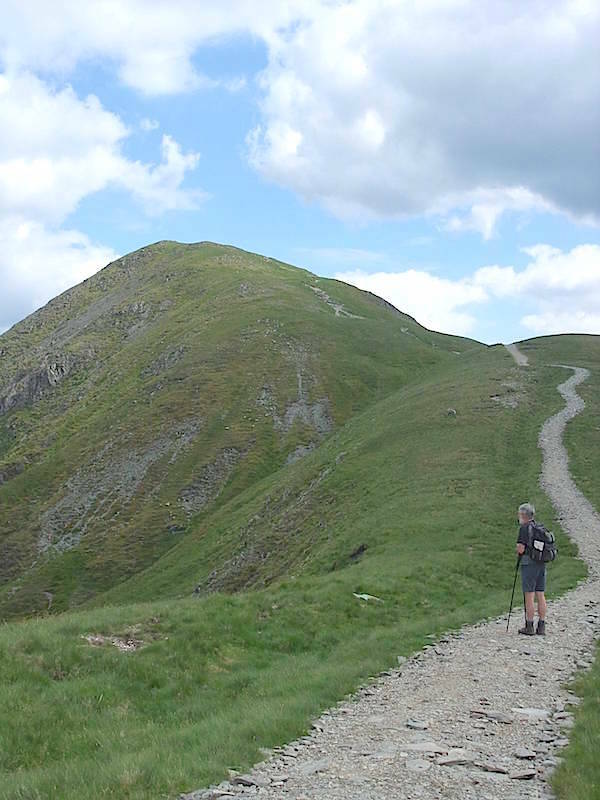 On the path to Froswick, it looks steep but its not too bad once you’re on it. From Froswick summit a view of the next part of the walk over to Ill Bell. 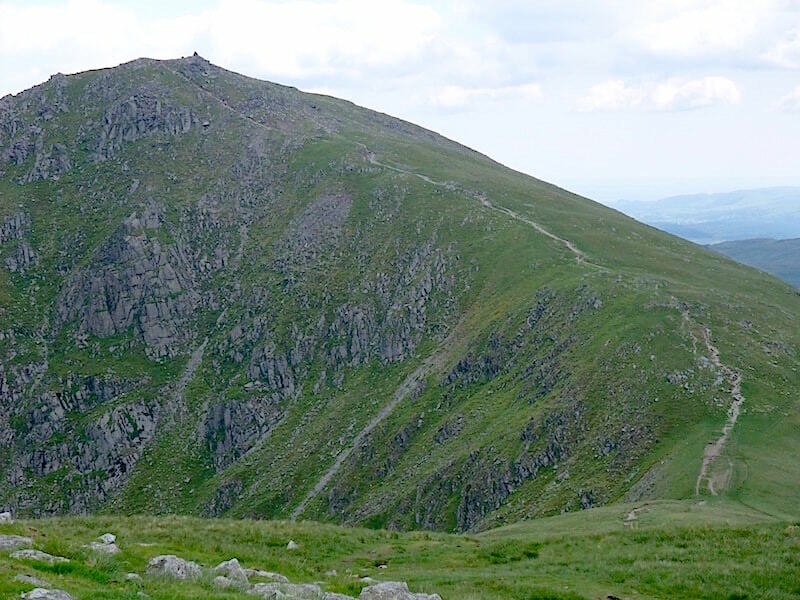 Just remember to keep to the path since there’s a long craggy drop over to the right. 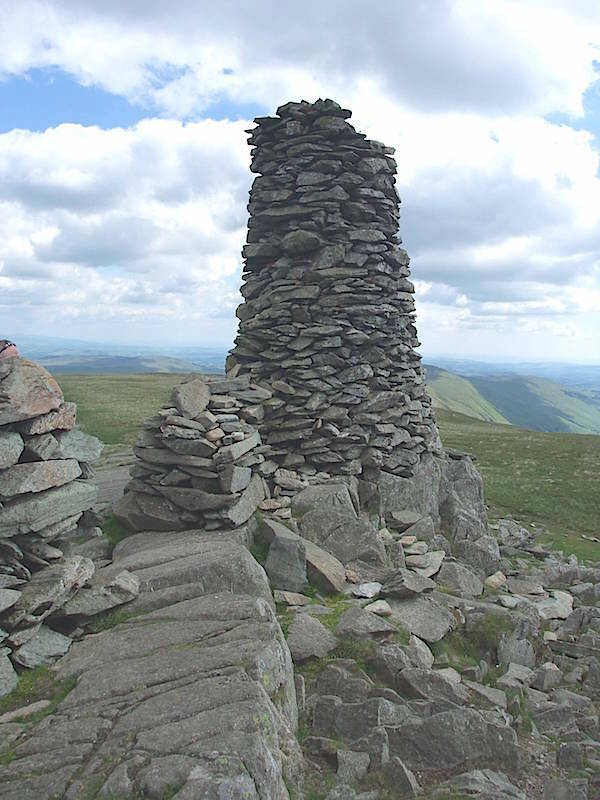 The view back to Thornthwaite Beacon from Froswick summit cairn. 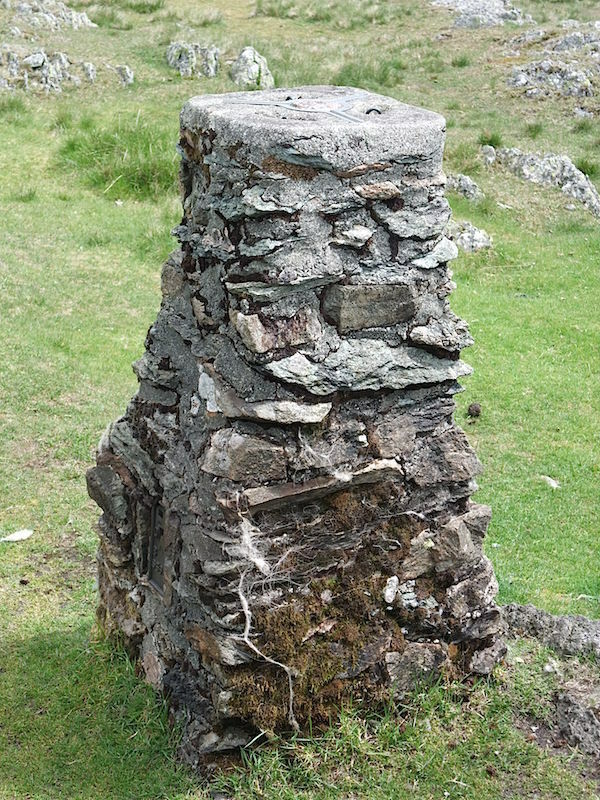 One of the three cairns on Ill Bell. 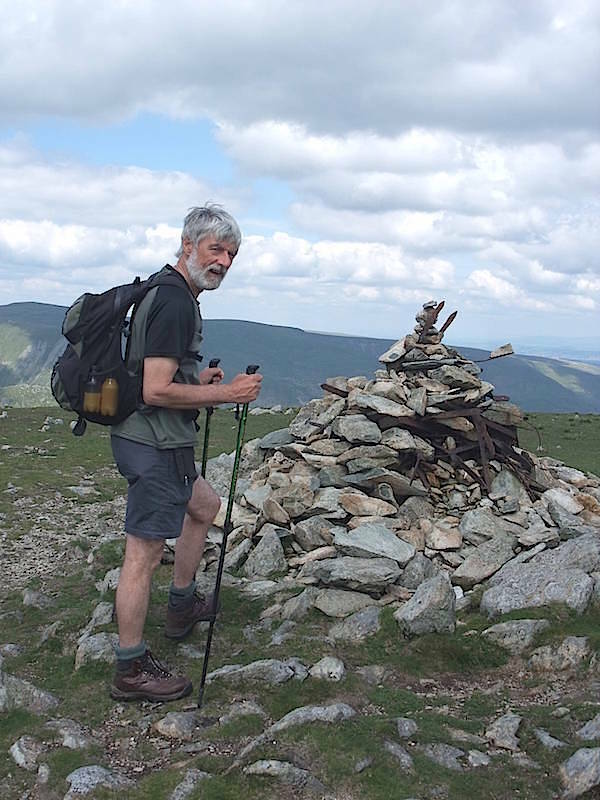 The second cairn we had a look at on Ill Bell. 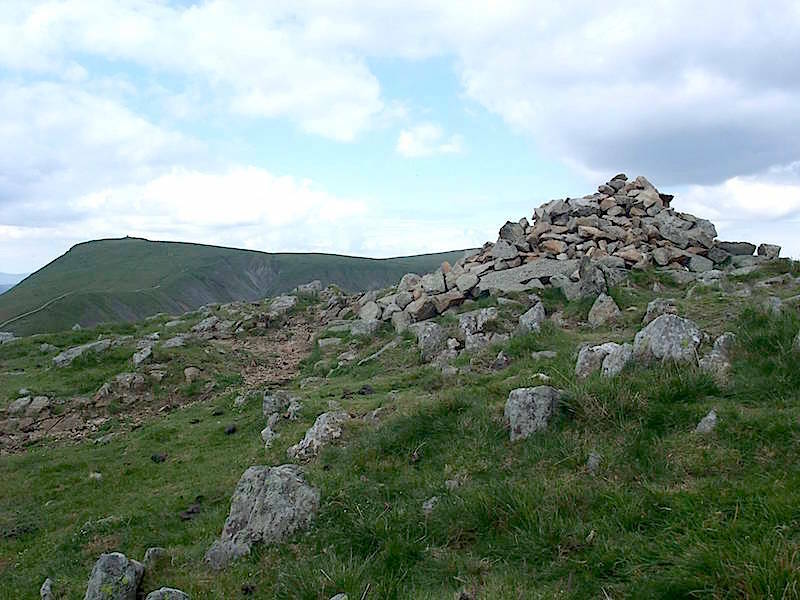 The third cairn had a group of people spread out around it so I couldn’t get a clear shot of it. Two out of three isn’t bad considering the number of people around today. 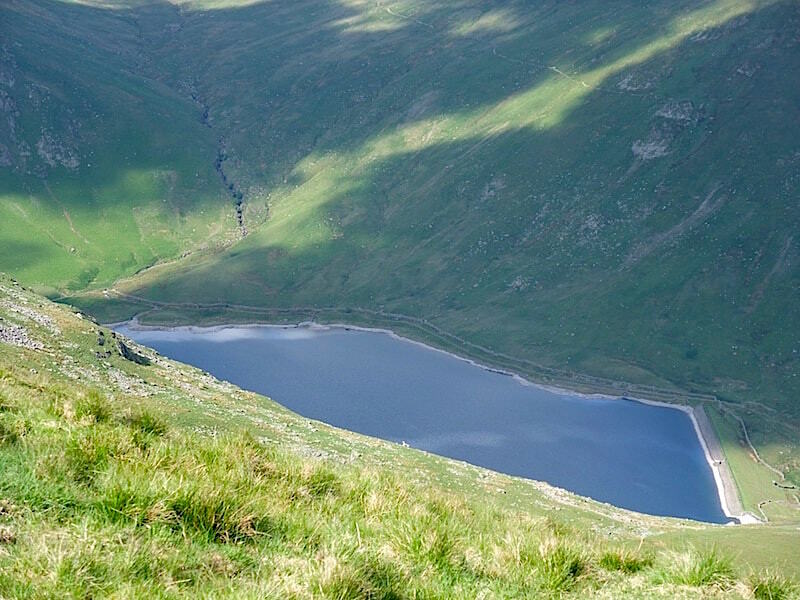 Leaving Ill Bell and making our way to Yoke with a view of Kentmere Reservoir below us. Looking across to the head of the valley and the Nan Bield Pass between the slopes of Mardale Ill Bell on the left and Harter Fell on the right. 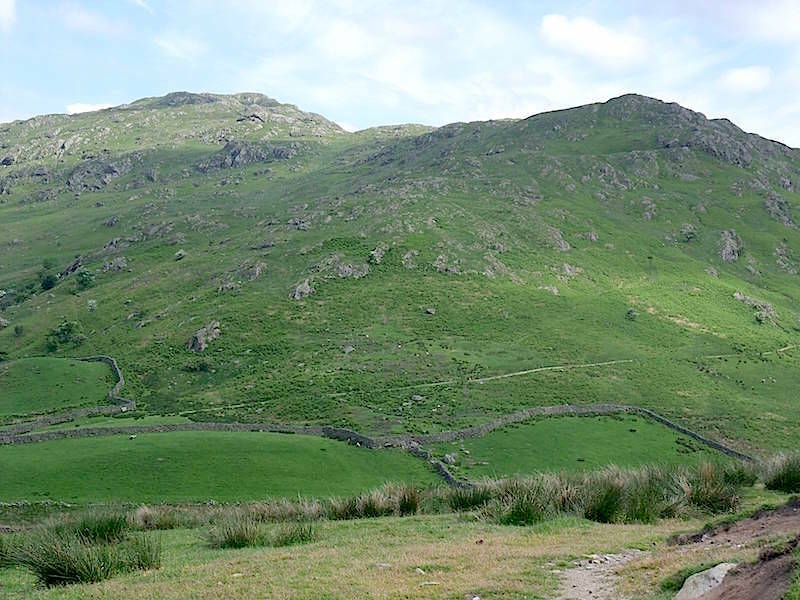 Coming up from the bottom right of the shot is the path up to Nan Bield from the Kentmere valley. A leisurely downhill stroll across the grass from Ill Bell brings us to Yoke, the last fell of the day. 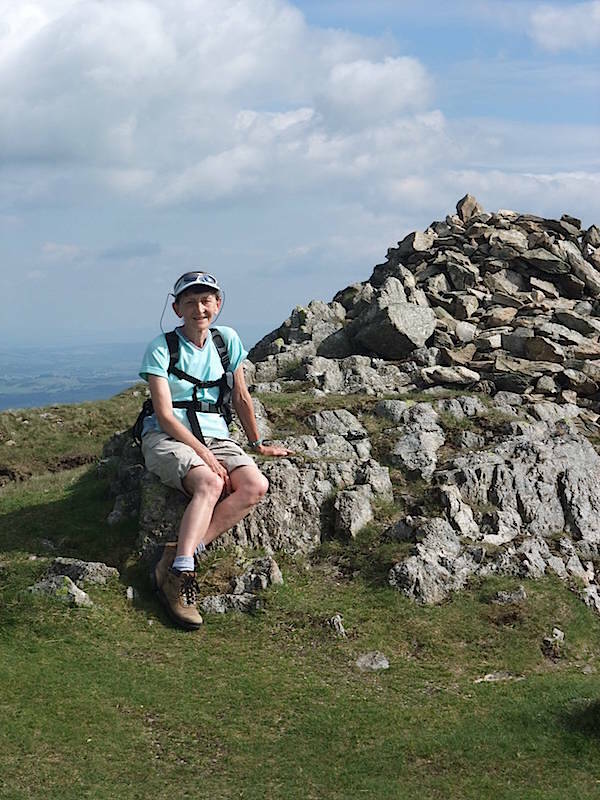 There’s nothing fancy about Yoke summit, just this rocky outcrop …..
….. which comes in very handy for having a sit down, resting the weary legs and re-fuelling with drinks and snacks in readiness for a walk of just under four miles back to Kentmere. I didn’t take any more photos from here, the view in front of you stays pretty much the same all the way and distant views were now quite hazy so there wasn’t much point. The walk back down seemed never-ending, and parts of the route were quite rough underfoot so you still had to keep watching where you were putting your feet, downhill isn’t always as easy as you might think. Once back in Kentmere we still had a bit more ‘up’ to do because the car was parked across the river at Green Quarter. It wasn’t much of a slope but it felt like the hardest one to get up, coming as it did right at the end of a long walk. You soon forget all that though once you’re sitting in the car, swigging down some more liquid and realising what a grand day out, in perfect weather, you’ve just had.